Affiliated to: Bowls England, Sussex County Bowls, ESMBA, W.S.C.S.M.B.A. Shirt Sponsors to Southbourne Bowls Club. 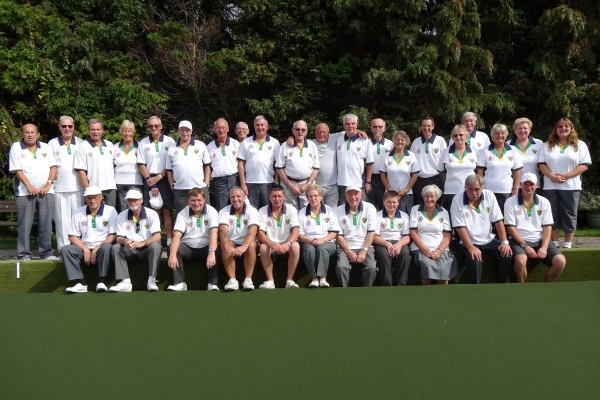 Situated just inside the West Sussex border with Hampshire, Southbourne Bowls Club has been in existence since 1920. The Bowls club operates as a section of Southbourne Social Club where members are able to enjoy not just the bowling, but the full range of facilities that the Social Club offers as well. Membership to the Social Club is necessary before joining the Bowls Section but the combined fees represent excellent value for money and compare favourably with other Bowling Clubs. The Bowls Club provides a full range of bowling for both the competitive and social bowler. These include County and Club matches, internal competitions, leagues & Friendly fixtures. Southbourne Bowls Club also enjoys a number of special bowling and social events during the course of the season. These vary from the well attended Fours Open Day and Skittles evening to the popular Finals Day Chinese supper and grand Dinner Dance Presentation night. Southbourne Bowls Club can fulfil the bowling requirements of both the experienced and newcomer alike with excellent facilities and a warm welcome assured. Southbourne Bowls Club could just be the club you're looking for! If you feel our club has something to offer you or maybe you just want some more information, or would even like to arrange a visit, then please get in touch. We would be very pleased to hear from you. Please enjoy your visit to our website and thank you for your time.